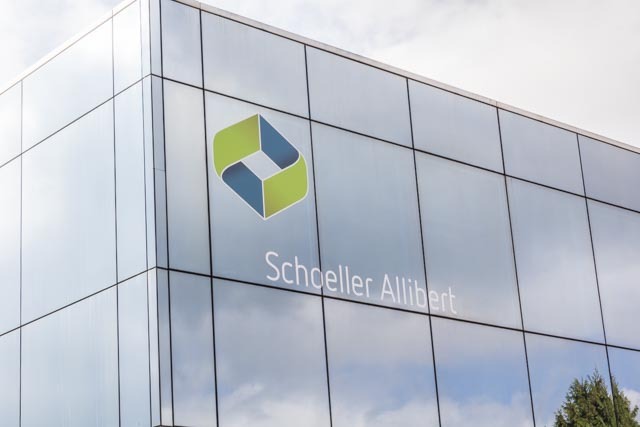 As part of Schoeller Allibert Group, our company is based in Romont (Switzerland) since 1968. The manufacturing site is well known for the production of Injection Moulded Plastic UN containers under the brand name ROPAC®. The comprehensive range of ROPAC® pails are UN certified for the transportation of hazardous solid and liquid goods, but also provide superior protection for our clients’ high value contents and the environment. Our innovative and focused range of Plastic UN Liquid Containers is available in 5, 10 and 20 litres and our UN Solid range is available in a range of sizes from 3 litres up to 32 litres. We are proud to be key suppliers into the Chemicals, Fine chemicals, Inks, Coatings, Lubricants, Food and Pharma industries and work hard to deliver world-class packaging solutions and services to this exciting and dynamic sectors. Our sales team is available to support and advise our clients globally and our R&D team are experts in developing new and innovative solutions in partnership with our clients and their needs.